Simplify your life with expert care solutions. If you are overwhelmed by caring for your aging or disabled loved ones, you are not alone. Specialized Care Management offers the support you need to ensure the best possible care for your loved ones, regardless of where you live or how much time you have available. When you live far away or your loved one’s care simply becomes overwhelming – we are your local, experienced professionals who can be there when you can’t be. Whether you need in-home care or help with placement options, look no further. In your FREE 30 minute telephone consultation, we’ll give you the information you need to decide what ongoing care management services would be best for your situation. COMPLEX CARE NEEDS SPIRALING OUT OF CONTROL? GET PEACE OF MIND WITH AN EXPERT CARE PARTNER. Orchestrating care for your aging loved ones or disabled adult family members is stressful. Perhaps a hospitalization has made their needs increase dramatically – or maybe something has come up in your life that needs your attention. With a Professional Care Manager guiding your journey, you’ll have the peace of mind you need to confidently ensure the best care for your loved one. STOP THE STRESS WITH SOLUTIONS AND SUPPORT. You are doing your very best, but nothing seems good enough. You simply can’t always be there – and you may feel like you are navigating the maze of services all alone. Get started today with a 30 minute complimentary telephone consultation. Next step is a comprehensive assessment that your Professional Care Manager will use to identify specific, practical, and local solutions for your medical, safety, and social concerns. Help is only a phone call away! 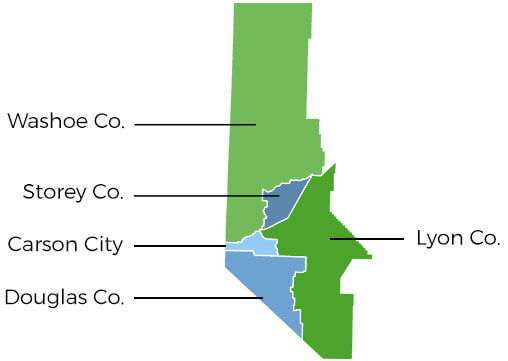 Specialized Care Management serves Western Nevada communities including Douglas County, Storey County, Lyon County, Mineral County, Churchill County, and Southern Washoe County. Our Care Management services include geriatric care (also referred to as elder care or senior care) and care for those with disabilities and other special needs. We work with families, trust clients, and healthcare management providers in several cities including and surrounding Reno, Carson City, and other locations in West Nevada.